Intriguing Hair selling high quality Wand Curls wig extensions, hairstylists, celebrity hair extensions online at affordable price. Free Next Day Shipping. Shop Now! This is an add on hairstyle to any weave service also can be purchased by itself. Perfect for weddings and birthdays. 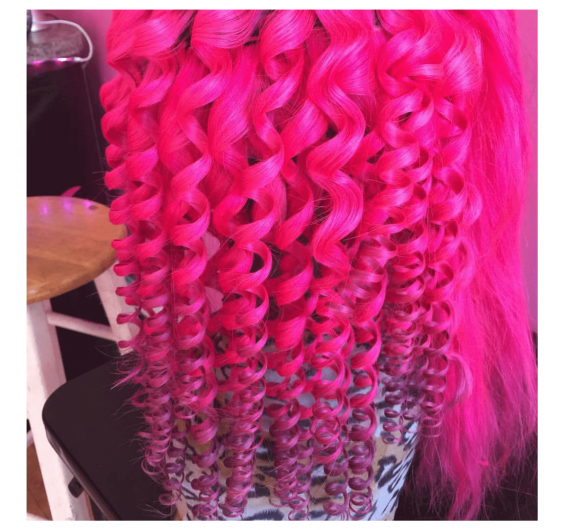 Need to book a hair styling appointment for tight wand curls on a weave in Boston? Intriguing Hair’s experienced hairstylists in Boston can create beautiful spiral curls that will turn heads. This hairstyle is great for weddings, birthdays, and other special events. Our professional hairstylists and friendly salon atmosphere make our salon the perfect place to glam it up right before your big event. We are committed to having you leave the salon in a timely manner with gorgeous, springy curls on your hair extensions that will have you stepping out with confidence on your big day or night. We look forward to meeting you! This service is for wand curling the hair extensions only. This service may be purchased by itself if you already have a weave installed, or you may purchase it is an add-on to any weave service. Wand Curls with a Sew In is a popular hair service option for Bridal or Birthday hair. If you wish to purchase hair or have it installed, we also perform these hair services for a separate fee. Clients must come to the salon with hair pre-washed, blow dried, and free of any hair products.